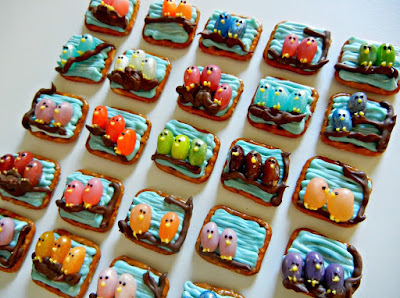 I've used jelly bean birds a bunch of times (scroll down to see more!) so I thought I'd try some little winter birds this time around. 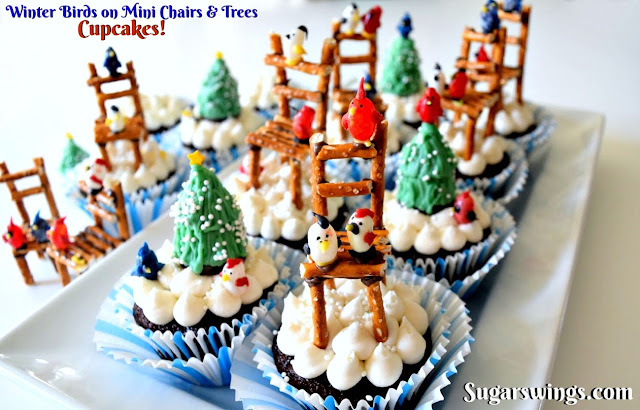 I also love love LOVE mini things so thought they'd be cute on some mini chairs or trees. 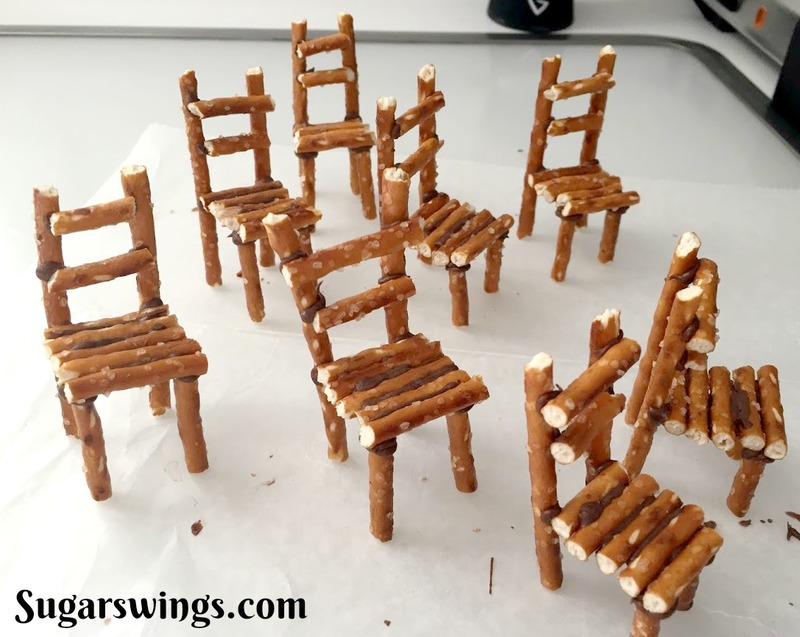 The chairs are made from pretzel sticks "glued" together with some chocolate. The chairs have a nice rustic look and are perfect perches for these little birdies! I love Jelly Belly jelly beans because they have great colors and some look almost mottled and very much like bird colorings already. 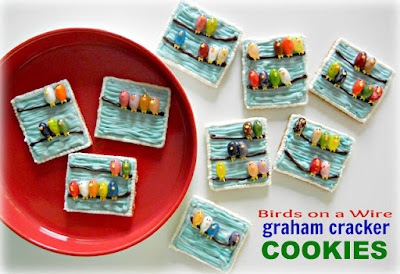 Add some little details - super easy with some melted candy - and you get some cute little winter birds. 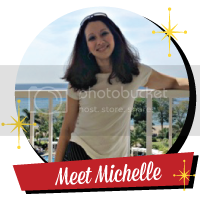 Don't forget to add simple eyes with a black food writer! The trees are made from Hershey's Bells and Kisses stacked on top of each other. 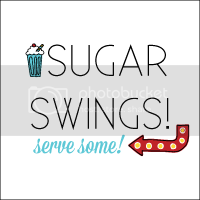 Use whatever flavor you like since it gets covered in green melted candy wafers. I used peppermint to go along with the winter theme. 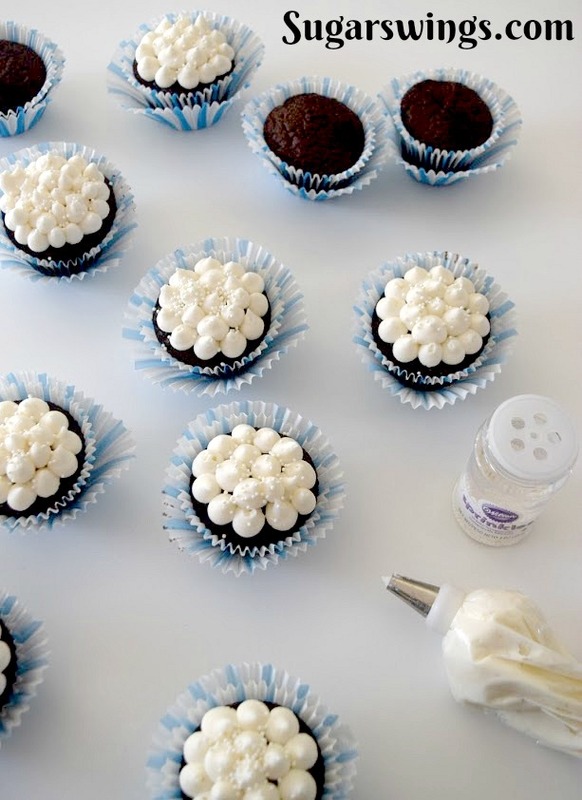 Use your favorite cupcake recipe and white frosting as snow. Put all of it together to make a fun little winter scene. And don't worry about being perfect with you candy melt "piping"! Small details are needed and it doesn't take a lot of skill. Once you practice on one or 2 birds it gets easy and the results are super cute! 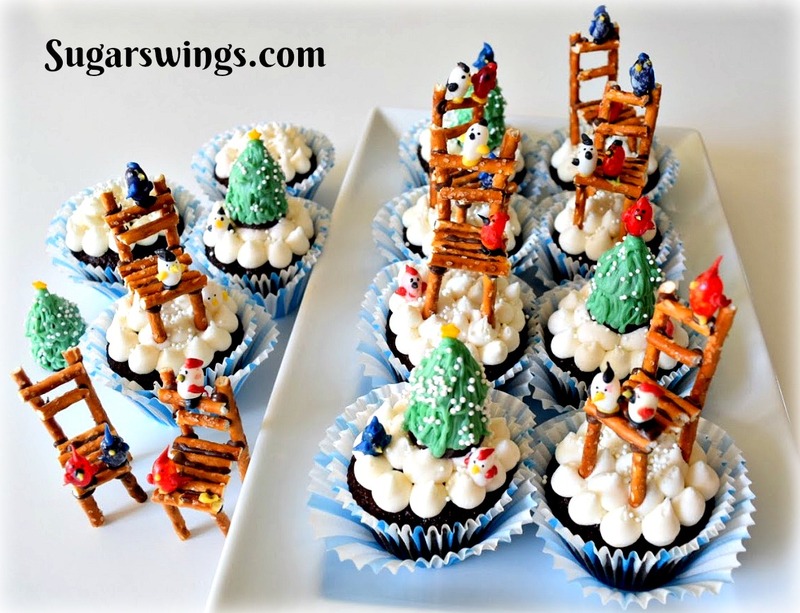 Making these cupcakes really did help to get me in the winter holiday spirit! 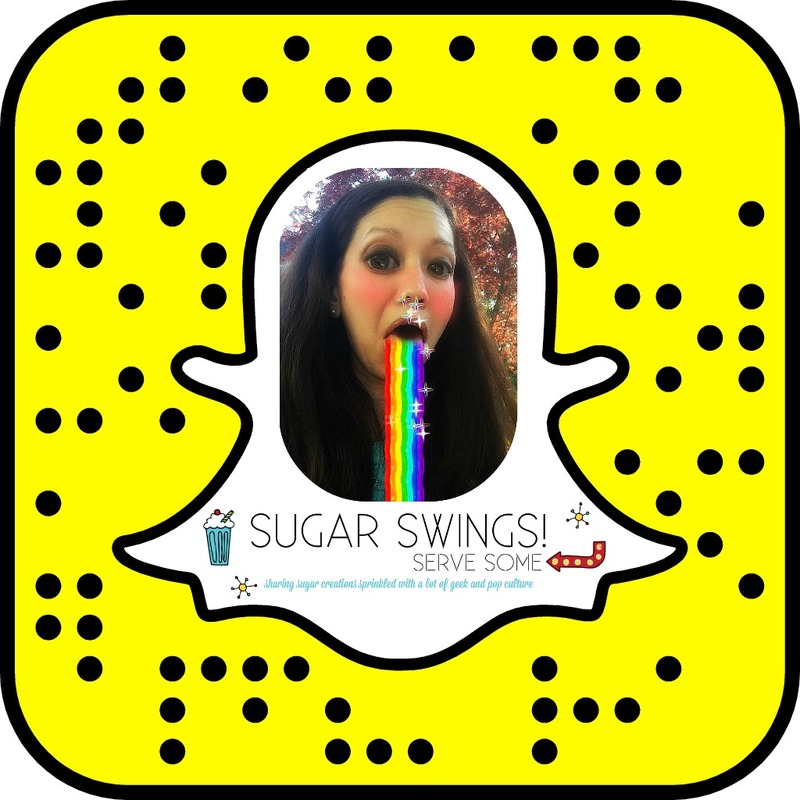 Thank you for swinging by and have an AMAZING weekend! Take time to enjoy the moments and don't forget to spread some kindness in the world! Melt chocolate chips in a microwave safe bowl and add to a freezer bag. 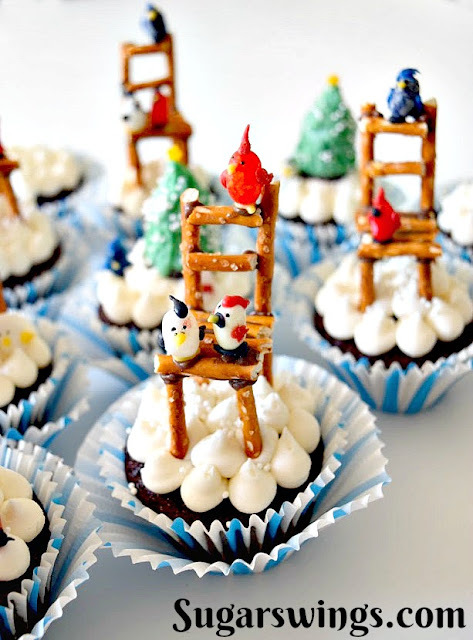 Snip and end and add some chocolate to pretzel stick and attach as in picture to "glue" chair together. Let harden at least 15 minutes before moving. Repeat for as many chairs as you need. 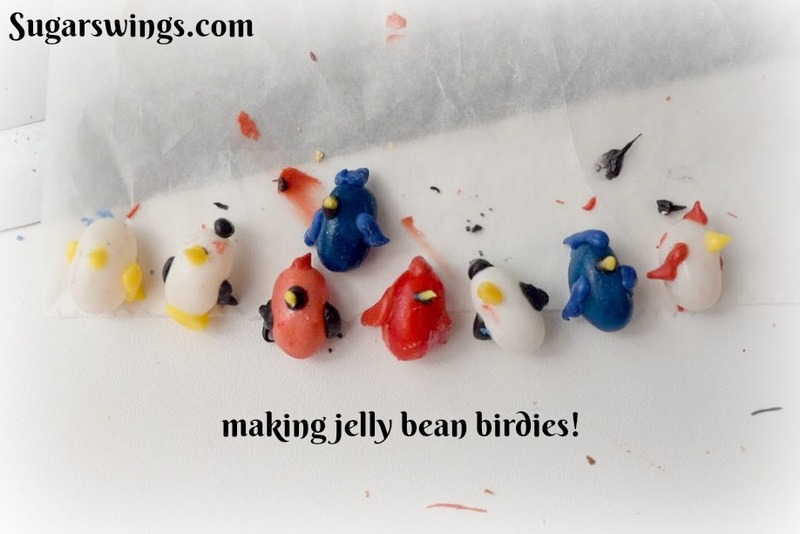 For birds: Select jelly beans colors you like. I like Jelly Belly as they are a little mottled which make great birds! 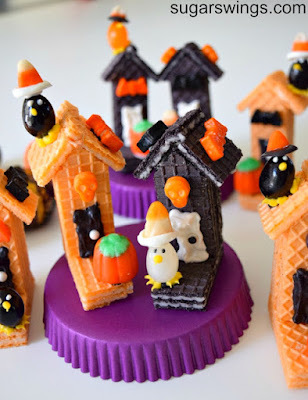 Melt each color wafer in a microwave safe bowl and add to a small freezer bag. Snip and end and add some details to birds (beak, wings, top feathers) as in pictures or use your creativity! Let harden at least 5-10 minutes or until candy is dry. For trees: Melt green wafers in a microwave safe bowl and add to a small freezer bag. Snip and attach Kiss to Bell to make tree shape. Add more candy to outside of chocolate to make green trees. 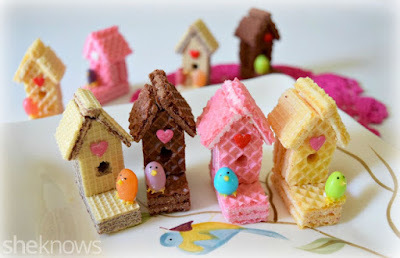 Before candy dries, add either bird or star sprinkle on top (candy must be starting to harden to easily attach or you can hold it in place until candy is firm enough to hold it in place). 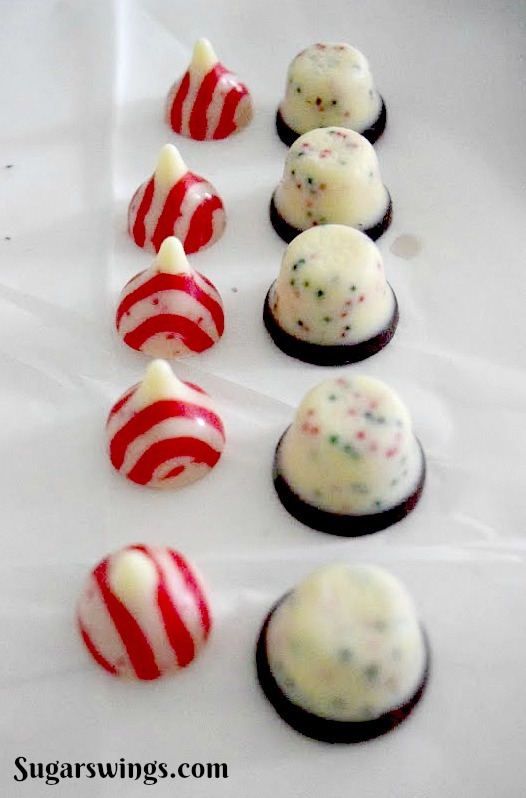 Before candy dries also add some white non-pareil sprinkles on outside of trees. 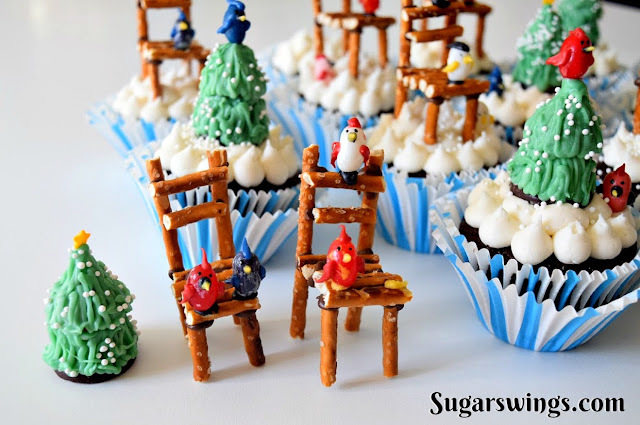 Once chairs are ready, use more melted candy and attach birds to chairs randomly. 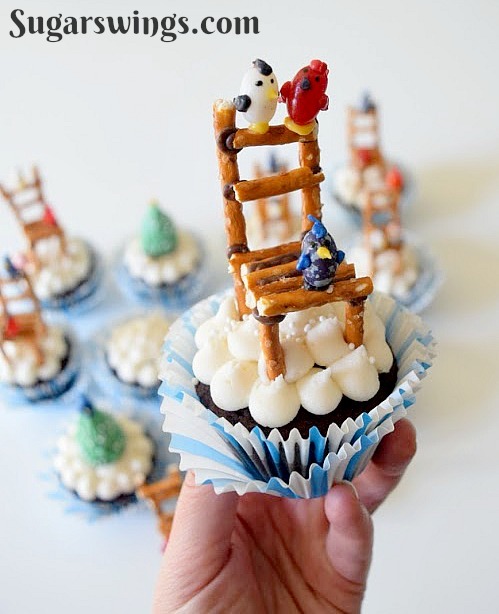 Add trees, birds, and chairs to iced cupcakes as toppers. 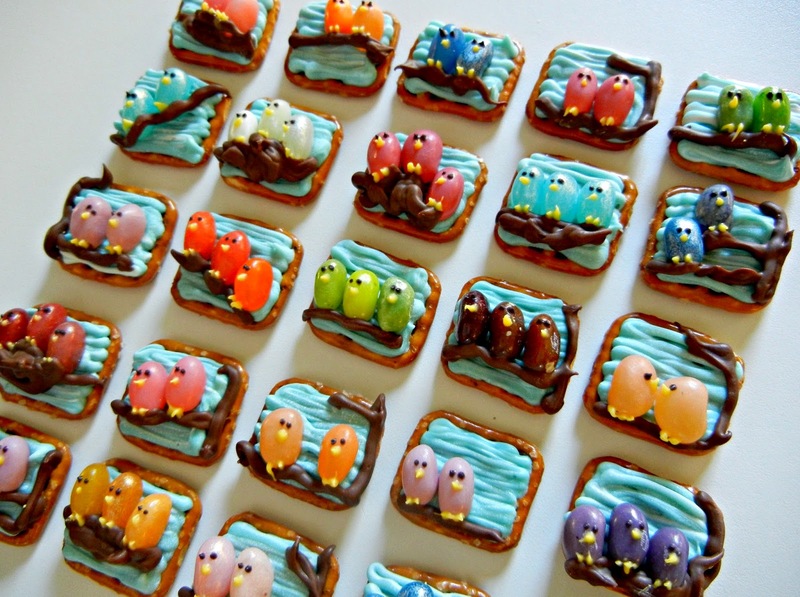 Other Jelly Belly Birds treats you may like! These are just IMPOSSIBLY adorable. 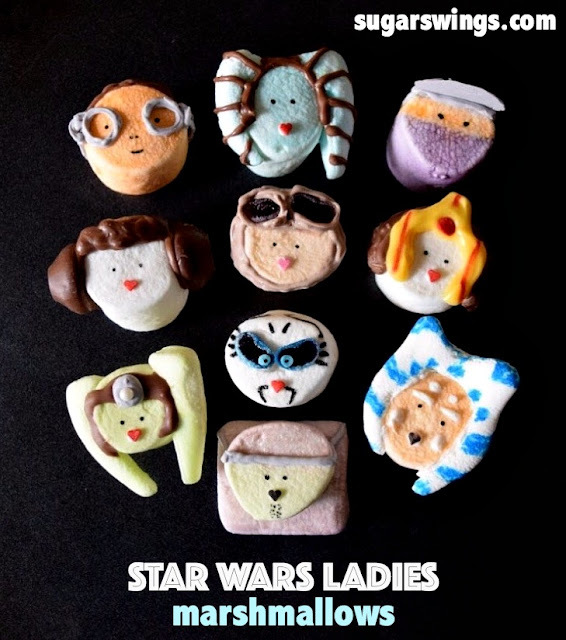 I love all things mini and these are just completely coo-worthy! oh thanks so much! I am a big fan of all that is min too!